A black bear found dead in North Carolina tested positive for rabies — the first known case of a rabies positive black bear in the state. 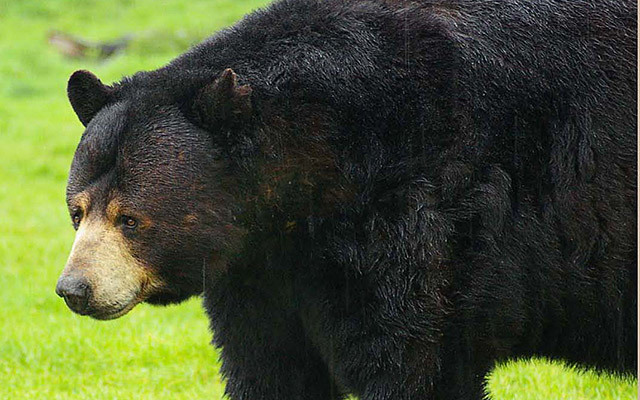 A black bear found dead in North Carolina tested positive for rabies, the first known case for a black bear in the state. The yearling male bear was found in Hyde County near a game feeder by Johnny Dale, of Fairfield, N.C., on Dec. 17, according to officials with the N.C. Wildlife Resources Commission. Dale contacted WRC officials and said he saw the bear alive near the feeder the day before but it was lethargic and unable to move. Because the cause of death was not obvious, Commission personnel conducted an initial necropsy and sent the bear to researchers at the Southeastern Cooperative Wildlife Disease Study (SCWDS) at the University of Georgia for further testing. On Dec. 21, SCWDS informed the Commission the bear had rabies, which had resulted in its death. Rabies is a fatal disease, which can affect all mammals, causing inflammation in the brain with symptoms that can include lethargy, loss of balance, fever, anorexia, and/or eye and nose discharge. Signs progress within days and can include fever; swelling in the head, neck, tongue or eyelids; excessive salivation; difficulty breathing; difficulty swallowing, vomiting; paralysis; abnormal behavior, self-mutilation, aggression and/or no fear of humans.